On the opening night of his Summer Sixteen Tour in Austin, Texas, Drizzy took a shot at Tyga and his fellow Canadian rapper Tory Lanez for copying his style. “All you boys doing fake ‘Controllas’ want to be me a little,” Drizzy raps. Tyga has denied that he copied Drake’s signature flow on his single “1 of 1” but Tory Lanez, who released a remix to “Controlla” famously said that he is coming for The 6 God’s crown. Lets see how that one plays out. 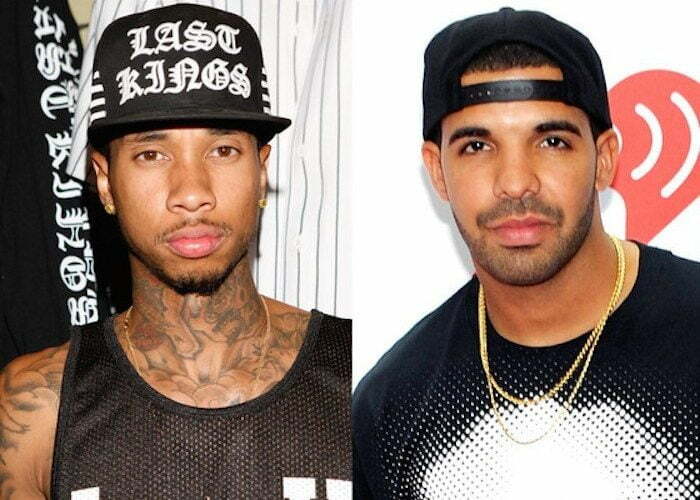 Drake and Tyga has had beef in the past although they were signed to the same label. But the Compton emcee recently said that feud is now in the past thanks to Kanye West who urged them both to squash their beef. Drizzy is now making his way across North American with Future for his Summer Sixteen Tour. The trek ends in mid October. Beenie Man and Machel Montana are also on the headline acts for his OVO Fest.